In the last few years, I’ve been struggling with dark circles around the eyes, sunspots that stand out whenever I see myself in a mirror, plus light rosacea on my cheeks. A beauty adviser recommended the IPL facial rejuvenation treatment. Before proceeding to costly procedures, I wanted to try natural products in my attempt to be as gentle as I can with my skin, all that at affordable prices. A good friend recommended The Ordinary range of products. As always I did my research online, and I’ve discovered some great reviews in the beauty blogosphere. The Ordinary products have an excellent quality/price ratio. Then I discovered a Facebook group dedicated to skin care, where I found a lot of useful tips. The moderators of the group are very receptive and helpful. Carefully I introduced some of The Ordinary products into my beauty routine, and the results did not leave much to appear. Hubby was so excited about my radiant skin that he expressed the desire to try TO products. To choose the right products for you, the ones that have the desired effects, you need to know what do you want to achieve, what aspect of your skin do you want to improve. For example, hydration, brightening the skin, repair imperfections, blemishes, acne scars. Also, you should know the type of your skin (dry, mixt, oily) and the stages it’s going through from one season to another. to delay the signs of skin aging as long as possible. I have mixed skin with small imperfections (sunspots, acne scars), dark circles around the eyes, some fine lines and a few big ones around the mouth and on the forehead. I’ve been using SPF protection lately regardless of the season, but the youth years, with excess sun exposure with little or no SPF are showing their effects. The products that help you in the fight against aging (wrinkles and pigmentation spots) are daily SPF, 50+ in summer, 30+ in the winter and retinol. A few weeks before I seriously started The Ordinary adventure, I watched a documentary on BBC Earth. The theme was the use and benefits of expensive creams vs. cheap creams, what ingredients are useful in fighting signs of aging, which ones are a big NO-NO when choosing a skin care product. What did I learn from that documentary? Try acids and actives, but start from the smallest concentrations introduced once a week, then switch to higher levels over time with patience. Now I’m researching ingredients on Cosdna. At first, it seemed like a foreign language, so difficult to understand, but slowly I became accustomed to the names. So it’s not impossible to create a routine with skin-friendly products. Before you go to active substances and exfoliants/acids you need to know the basis of your skincare routine. daily SPF, no matter the season. Cleanse, please cleanse every night, no matter how tired you are. Nowadays there are cleansing products that you can use in the shower if you lack time. I love Paula’s Choice cleansers. I have learned on my skin that I need to avoid those cleansing products containing alcohol (except fatty ones), parabens, irritating essential oils, and not even perfume. Usually, the ingredients are labeled in descending order of quantity in a product. So if the fragrance is the last one on the list I make concessions. I test my skin’s reaction. At this moment, Neutrogena is well suited to my eye area, and on the rest of my face, I use Bioderma Sensibio Micellar Water. A tip I’ve learned from the Facebook group mentioned above is that I need to rinse the micellar water. The second step of cleansing is to apply on damp skin Cerave Hydrating Facial Cleanser. Massage gently especially in the T area, then rinse with warm water. I use The Ordinary products for this critical step in my skincare routine. 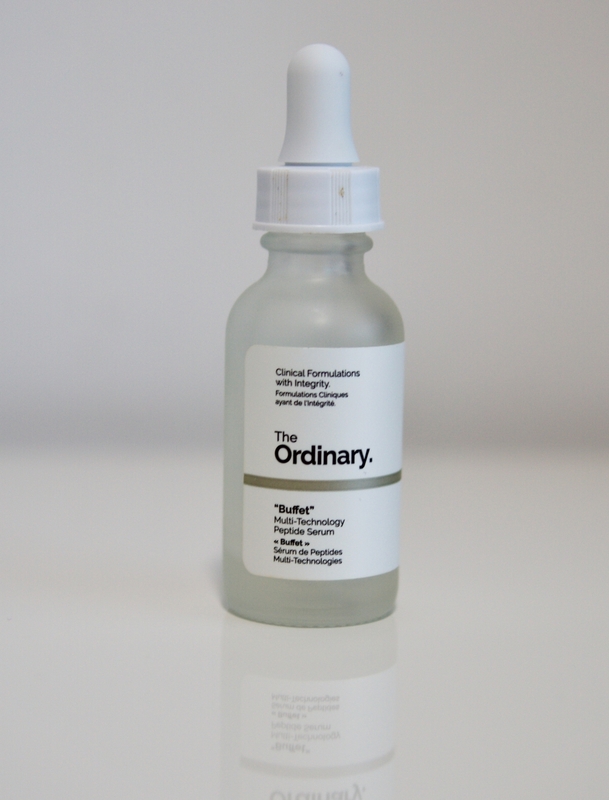 The Ordinary Hyaluronic Acid 2% + B5 – applied on damp skin (every day). a) Niacinamide 10% + Zinc 1% used onto dry skin – on Monday, Wednesday, Thursday and Sunday. b) Vitamin C Suspension 23%, combined with moisturizer – on Tuesday and Friday. Caffeine Solution 5% + EGCG, in the eye area. Buffet – on Monday, Wednesday, Thursday, Saturday, and Sunday. b) RESIST Daily Smoothing Treatment with 5% AHA – on Saturday, applied right after cleansing, on dry skin. Rosehip Seed Oil The Ordinary, only one-two drops on entire face. Natural Moisturizing Factors The Ordinary (aka NMF). Right now I get along well with Bioderma. I apply 1.25 ml only on the face, which is quite a lot. If you use exfoliating acids and active substances, the SPF is ABSOLUTELY NEEDED, regardless of the season. On the group, I’ve read good reviews about Altruist, Antheliane Roche Posay and Nivea Water Gel, the Asian version, which you can buy from Amazon, eBay. In addition to The Ordinary routine above, I would like to try the azelaic, resveratrol and AHA acids. I still have an IPL session on the face, so two weeks before the appointment and a week after, I will remove the retinol and exfoliants from my routine. it reduces red signs caused by acne or rashes, improving the natural healing process of the complexion. I noticed there is a slight improvement in my skin texture, and it’s smoother and well-balanced. In the first few weeks, I used Vitamin C three times a week, but I’ve reduced to two applications per week because I’ve noticed the appearance of some black spots. The 23% version feels a bit grungy on your skin, but you can combine it with a drop of your face cream, and it will not bother you so much. Usually, I take a 10-minute break between products. But I felt like Vitamin C on my skin needs 30 minutes to absorb. gives brightness to the skin. Hyaluronic acid is ranked second in my favorite The Ordinary products top 3, from what I’ve tried so far. It blurred fine wrinkles. They look plump; they are filled immediately after application. The effects last for about 4-5 hours. But it is a product where results happen over time. Overall, I am happy. 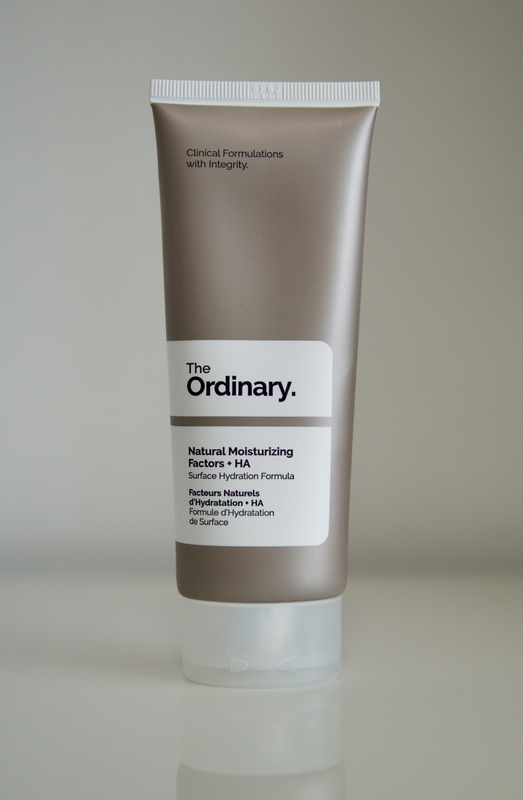 This product is number one from The Ordinary products I’ve tested so far. You only need to apply 2-3 drops on the entire face. At first, my face looked like a glowing bulb, but it fades over time when layering the next product on the routine. The pores are visibly diminished. I do get an occasional pimple, but it heals much faster, the skin looks so much radiant. I’m incredibly pleased. This formula combines a comprehensive range of technologies for battling the signs of aging. It contains 11 types of amino acids that have mild action on the skin and multiple molecules of hyaluronic acid. The most significant benefit is that it has an antioxidant effect, it fights against signs of aging. I haven’t seen any wow results after the use of the Buffet. But it is a product that prevents the appearance of signs of aging, so I think I need to use it over a more extended period. reduces bags and dark circles in the eye area. I have chosen Caffeine solution especially for the dark circles around the eyes. Most of the mornings I do not have puffy eyes. I’ve tested it, but on some days I still have to apply concealer. So, it did not work as well as I have hoped. I’ve read different reviews about the caffeine solution with the same conclusion. This product works better for bags/puffiness than for dark circles. For my sister, Caffeine has done miracles, for example. I’ve “heard” only good things about Hylamide SubQ Eyes for the dark circles’ issue. it is a powerful antioxidant and thus reduces the adverse effects that free radicals have on the skin. Retinol is slightly irritating, especially if you have sensitive skin like me. Start with the lowest retinol concentration, applied only in the evening, once a week, 2-3 drops, right after water-based products. Then slowly increase the number of applications to 2-3 per week. As soon as I’ve started using Retinol 0.2% in Squalane, I noticed my skin was smooth, like a baby. This cream does its job, but it did not impress me as much as retinol or niacinamide. I apply it in the evening, at the end of my routine. My skin is smoother, brighter, hydrated. Wrinkles look fuller after the use of hyaluronic acid. The pigment spots seem to have improved, but I’ve just started with acids. It takes up to 6-9 months of use to see the real results of the products, especially acids. I love Theordinary.com for detailed information about the routine. You can easily find out what the correct product order is, what incompatibilities to pay attention to, etc. Here is a small summary of the order of application of The Ordinary products. For me this was the hardest step, establishing a routine, applying these products in the right order to get the most out of their effects. Apply on clean face after using a cleaning gel, such as Cerave. When you use more water-based products, Deciem recommends starting with the one which helps you the most. You should apply oil based products after water-based and creamy products. What worked for me is applying Rose Hip Seed Oil along with the moisturizer. Here the opinions are divided. Some say that they should be last, others say before-last in the routine. Deciem recommends their application after the moisturizers. Many use them before creams. The purpose of the moisturizer is to fix all products on the skin, to restore and maintain the hydration. You should read the labels and instructions for each product. Natural Moisturizing Factors + HA (the final step in the routine). The introduction of each product should be done progressively to observe the skin’s reaction, especially in the case of acids and Vitamin C. Many people go through the purge period. 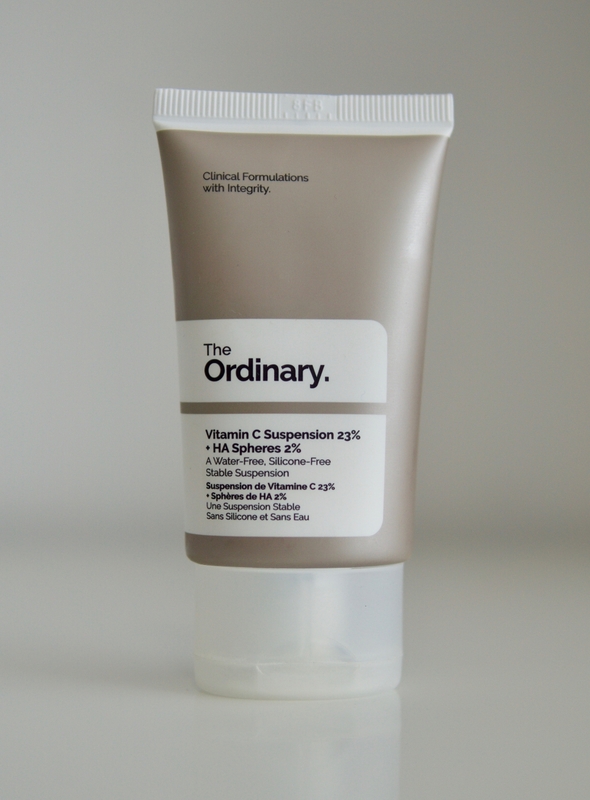 You can get The Ordinary products from Deciem.com, Asos.com, Beautybay, Skinstore. For more tips regarding The Ordinary range of products, you could ask the Monkeys at Deciem. Their specialists will guide you to the best combination of products. To get the best results for your skin, you should try hydration on the inside, by drinking your daily quota of water and on the outside, by taking care of your skin. Another thing that could significantly improve the aspect of your skin is to cut processed sugar from your diet. That’s a bonus: A picture of me wearing just SPF, a bit of mascara, blush and brow powder. I don’t feel the need to put on the foundation. These were my impressions after using The Ordinary products. Keep it classy and…don’t forget to subscribe to our free newsletter for more online deals and fashion trends. Happy shopping!